This clamp from ATI strengthens the connection of the magazine extension to the barrel. It may also be used to mount a 1" diameter light or laser to the barrel. A sling swivel stud is included and is reversible for right or left-handed shooters. 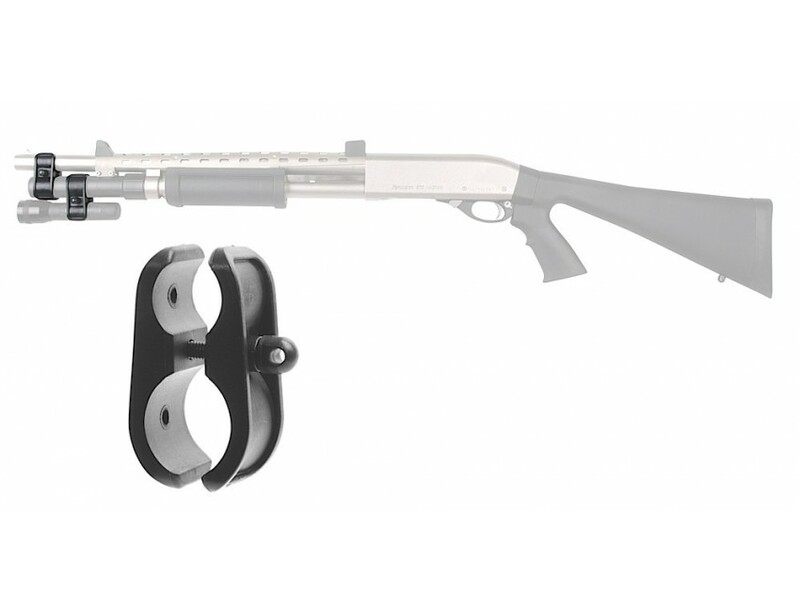 The clamp is made of an extreme temperature, glass-reinforced polymer and fits all 12-gauge shotguns.